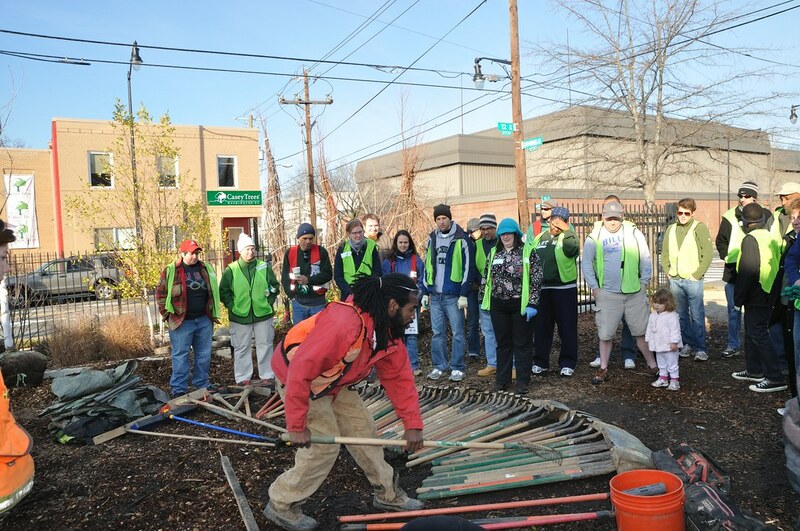 This past Saturday, Casey Trees had the pleasure of making D.C. a little greener - right in our own neighborhood! We love planting all over the District, but planting trees across the street from our headquarters, alongside our neighbors, was especially rewarding. 37 volunteers and Citizen Foresters came out to the planting. Everyone enjoyed the sunny morning while planting 18 trees along 12th Street Northeast. Following the planting, all enjoyed a delicious lunch from Silvestre Cafe. Special thanks to project organizer Astrid Joehnk and Lead Citizen Forester Kathie Shahan for helping make this CTP event a success! Casey Trees crew member Jabbari Brew demonstrates safety methods outside of our headquarters on Saturday. 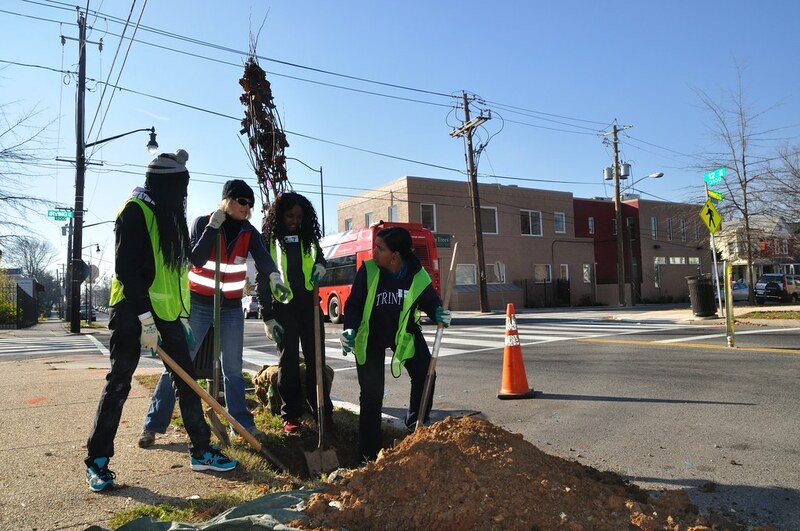 The Community Tree Planting event in Brookland marked this season's second-to-last planting. In fact, tomorrow will be our last planting of the fall season. But there are still ways to get involved with Casey Trees after the CTP season ends! Check out our calendar of events to sign up for an educational class, tree tour or workshop. One CF and three volunteers plant a tree along 12th Street NE.